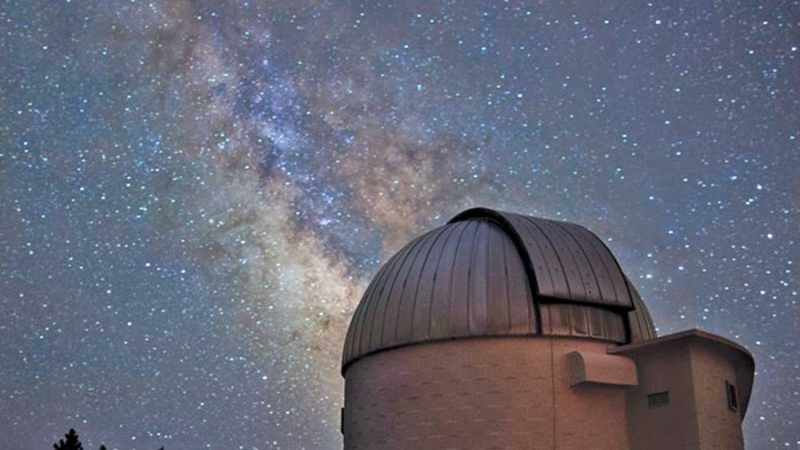 The UO’s Pine Mountain Observatory will have 10 Girl Scouts from around the country gazing at the stars during a week of science exploration July 10-14. The adventure, which also involves camping on site, is designed to foster interest in science, engineering, technology and math, commonly known as STEM courses. It is part of “Reaching for the Stars: NASA Science for Girl Scouts,” a cooperative five-year agreement between the SETI Institute, a nonprofit organization that seeks out intelligent life in universe, and NASA. The participating girls are coming from Arizona, Maine, Massachusetts, Oklahoma, Oregon, Utah, Vermont, Virginia and Washington. “The girls will learn to operate telescopes, engage in solar and dark sky observations, collect and analyze data and flex their leadership muscles,” said Shannon Joseph, STEM specialist for the Girl Scouts of Oregon and Southwest Washington, which is hosting the scouts. While camping at the observatory, located in the Deschutes National Forest, the girls also will get to sleep out under the starts, participate in geocaching and advance their campfire-building and outdoor skills.